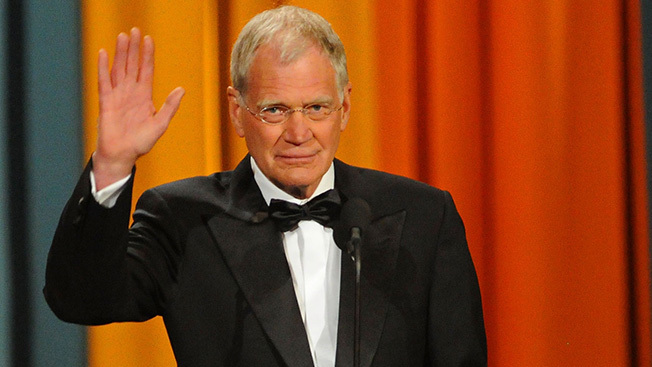 CBS will bid farewell to David Letterman with a 90-minute prime-time special. CBS says David Letterman: A Life on Television, which airs Monday, May 4, at 9:30 p.m. EDT, "will mine the video vault, with highlights including some of the best of Letterman's interviews with presidents, world leaders, sports figures and the biggest names in entertainment and music." The special will highlight Dave's funniest Top Ten lists, the stupidest of Stupid Pet Tricks, and the countless things dropped from the office building around the corner from the Ed Sullivan Theater. Ray Romano will host the special. It was a 1995 stand-up appearance on Letterman's show that paved the way for Romano to get the development deal with CBS that resulted in the hit comedy series Everybody Loves Raymond. After his final Late Show on Wednesday, May 20, Letterman will have hosted 6,028 late night broadcasts over 33 years, first on NBC's Late Night with David Letterman and, since 1993, on CBS's Late Show.